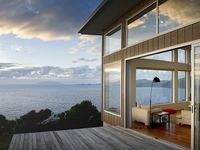 Properties in Whangaparapara Harbour average 4.5 out of 5 stars. Property 14: Yardmaster House, large 3 bedroom home, sleeps 8. 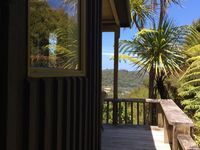 Property 26: Right on the beach in beautiful Karaka Bay. Property 28: A beautiful hideaway right on the beach. Property 34: AVAILABLE EASTER waterfront with ferry vehicle & pass tickets avail. Property 41: Bayview, Tryphena. Overlooking Puriri Bay. Property 42: On popular Medlands Beach, centrally located.